INSIDE: You’ll always be my pillar of strength. FD001 funny wholesale Father’s Day card from Snafu. 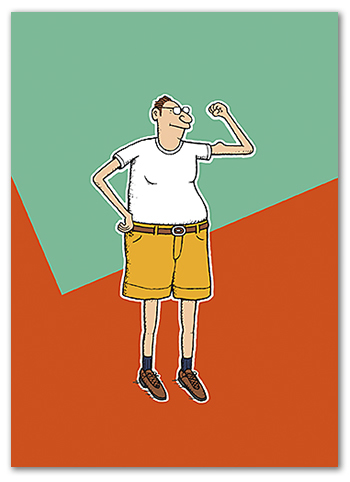 A great Father’s Day card for that dad that is rock solid, even if he doesn’t look the part. Perfect for your customers that like to send funny cards!